How is Noah Homes Helping Adults with Developmental Disabilities? Did you know… that there are 280,000 people with disabilities in California alone? A phenomenal turnout with more than 500 guests! Thank you all for your support. Every year that I am able to serve as a Board Member of Noah Homes, I am grateful to be a part of such an important cause: helping to maximize the quality of life for adults with developmental disabilities. This year was my third year participating in Noah Homes’ Annual Summerfest, where $163,000 was raised to help our adult residents. The funds raised will go towards the furnishing of Noah Homes – two new Memory Care Homes which are estimated to be up and running by the end of the year. Our fundraising efforts are also going to assist with purchasing two new vans for community member transportation. 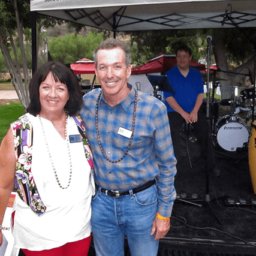 Noah Homes’ Annual Summerfest was held on the afternoon and evening of June 25th in Spring Valley at the property. 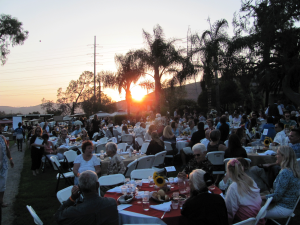 This outdoor fundraiser had an unprecedented turnout this year, where 500 guests were able to experience live classic rock music played by Ron’s Garage, games, a raucous auction, barbecue provided by the members of the Nice Guys, and a beer tasting courtesy of both BNS Brewing & Distillery and and Jamul Brewing Co. The purpose of Noah Homes is to create a safe and loving space where individuals with developmental disabilities can call “home”. The Noah Homes campus established locally in Spring Valley, California is home to 70 full-time residents. What issue is Noah Homes helping to solve? Due to the rapid advancement of technology, adults stricken with developmental disabilities now live longer and deal with accelerated aging issues, such as Alzheimer’s disease. It has been projected that nearly all who have Down syndrome will eventually develop some form of dementia or Alzheimer’s disease. Noah Homes lessens the severity of these conditions by providing a forever home for its community members that will deter them from experiencing unsafe living conditions, or even ending up on the streets. I would like to take a moment to thank all of this year’s sponsors, including Arc San Diego, City National Bank, Hollywood Casino, Howland Built, John Brooks Insurance Brokerage, Mary M. O’Connor Pediatric Dentistry, SDG&E, Whispering Winds, Gene and Rosanne Luth, Gerry Mohr, the Mulvaney Family, Maureen and Gary Sage, and Dan and Barbie Spinazzola. Thank you all for contributing to the success of Noah Homes’ Summerfest this year. Are you interested in getting involved? For volunteer opportunities, or to make a donation, visit www.noahhomes.org.